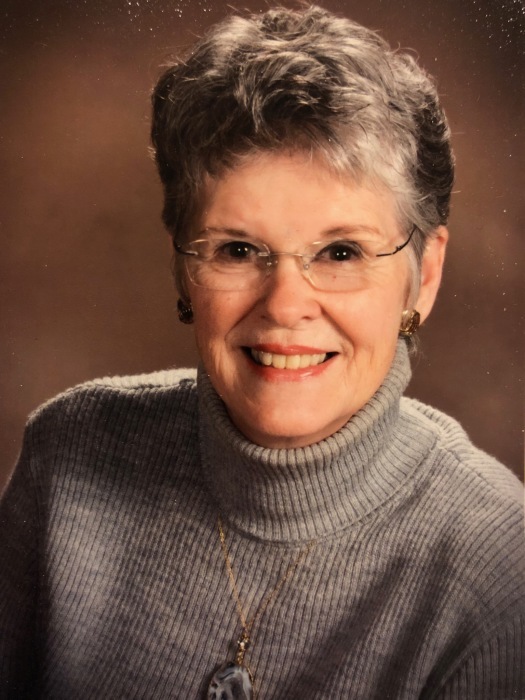 Judith Ann Stevens Callaway passed away on Wednesday, December 5, 2018 at Woodlands Healthcare after a short illness. She was born on May 30, 1939 in Gallipolis Ferry, West Virginia to the late O.M “Jim” and Dolores Windon Stevens. In addition to her parents she was preceded in death by her brother-in-law and sister-in-law, William B. and Janice Callaway Frampton. She grew up in Belle, WV and graduated from DuPont High School. She was an English Education Major and graduated with honors from Marshall University. She taught at Marshall Lab School and briefly for Cabell County Schools before choosing to stay at home to nurture her children. She was a gifted public speaker and enjoyed speaking to groups of women in churches and the community. In the early 1980’s Judy authored “The Redwood Series” in conjunction with Hospice of Huntington who ironically helped manage her care in her final days. In 1958 Judy met the love of her life, W. Garner Callaway, and they married November, 27, 1959. During their 59 years together they have had a wonderful, loving, fun-filled life. They traveled, enjoyed community activities and entertained many in their home. In 1999, they built a new home in the Woodlands Retirement Community where they have created many great memories and cherished friendships. Judy was a devoted, wife, mother, grandmother and friend. She had a unique way of making those around her feel important. Judy was an active member of Fifth Avenue Baptist Church and the Homebuilders Sunday School class since 1959 until her passing. She was a prayer warrior. In addition to her husband, she is survived by their two children and their spouses, Mary-Lynn Callaway Hodges and her husband Michael of Saline, MI and their son Jeffrey Garner Callaway and his wife Kimberly of Marietta, GA. She is also survived by her grandchildren who she loved and prayed for, Isaac Jae Hodges of Saline MI, Ellen Hodges Davis and her husband John of East Lansing, MI, Christopher Garner Callaway and William James Callaway, both of Marietta, GA. Her brother Ronald N. Stevens and his wife Dee of Port Aransas, TX also survive as well as 5 nieces. Funeral services will be held on Sunday, December 9, at Fifth Avenue Baptist Church at 2 pm. With Rev. Eric Porterfield and Rev. Alicia Porterfield officiating. Burial will follow at Spring Hill Cemetery. The family will receive friends on Saturday, December 8, at Beard Mortuary from 4:00 – 6:00 p.m. Those who wish may make memorial contributions to Hospice of Huntington or Fifth Avenue Baptist Church. Online condolences may be sent to the family at www.beardmortuary.com.